JQ Talks: Clinique Launches E-Commerce Site! "Today social media is no longer an option but an integral part of a large majority of our lives." Pioneering another first in the prestige skincare industry, I was honored to be invited to witness the launch of its E-Commerce business. A robust e-commerce site and interactive lifestyle destination, the new site offers editorial contents, videos and skin care advice for both men and women looking for trusted skincare and grooming recommendations. As a Brand that advocates skincare customization, the embarkation into the e-commerce business is in line with consumer demand and allows the Brand to practice greater ability to extend Clinique's belief that Great Skin Can Be Created to those not close to Clinique counter. Enhanced Lay Out - Easy navigation panel and product searching. Custom-Fit Skin Care Diagnostic - "My Skin Consultation" tool brings counter consultation to the internet. Just answer a series of questions about your skin concerns, resulting in a recommended personalized skin care routine. Personalized Information on My Clinique - Personalized information is culled and saved for the consumer to access whenever they please. It comes with Coveted Dermatologist Advice where Clinique brings you informative videos related to skincare issues. 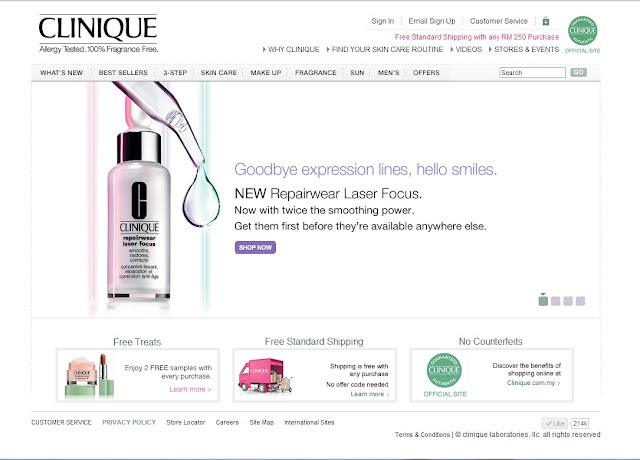 Evidently displayed at the site is CLINIQUE TRUSTMARK. Thus, you may sigh in relieve knowing that your purchase guarantees that you are shopping directly with Clinique, where the quality and safety of products are assured and stored in temperature controlled warehouse preserving products freshness. As counterfeit products are known to exists, this Trustmark also provides absolute authenticity. Delivery is also very much thought-out by Clinique as they have partnered with DKSH Distribution Centre who has one of the largest and most extensive operations in Malaysia in product delivery. Products can be delivered within the same day, named day or the standard delivery time. You can be assured that the products purchased will be delivered in the best quality and with maximum service channels by DKSH including telephone and email help desk. With some of the beautiful Clinique ladies. With another ever-beautiful beauty blogger. High-end shopping is now just a click away too. 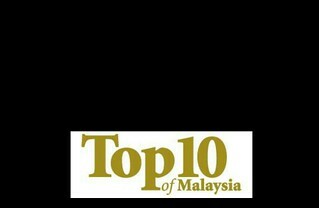 have a good brand in online shop service is consider bad for us... haha! i mean, its easy as click click suddenly you spend money... even in pajama... but its kinda good coz you can read all information easily! hehe! Thanks Choulyin for the compliment :) and well, not every skincare works for everyone. Sabrina, lols. Yeah I know man. Pocket burning like crazy.